Many organisations have recognized the need to improve the safety measures within their workplace. It is important to ensure that every employee observes the highest safety standards to protect themselves and other employees from possible workplace hazards. 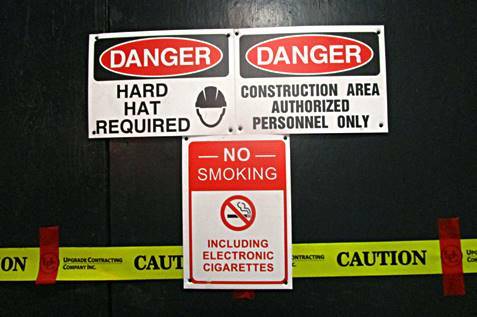 The common measures used by companies to further educate employees about safety include the use of posters. Efficient safety posters can either contain vivid, easy to understand illustrations about safety measures and practices or display phrases that communicate the importance of practising the best safety standards. The use of safety posters is very effective. It is a constant reminder to the employees and even the visitors to the workplace areas that there are safety risks or possible hazards. Accidents can be avoided by practising the right safety measures. Therefore, safety posters help create a high level of safety consciousness in the workplace. They keep employees from being careless or reckless when handling hazardous and dangerous objects in the workplace. In that way they improve the safety culture in any workplace. There can still be accidents in the workplace despite the safety posters that have been put up all around the workplace. These accidents can happen as a result of negligence on the part of the employees. In a case like this, the company will not be held responsible for the injuries suffered by the reckless employees because they have adhered to the rules mandating that safety posters should be put up in the workplace. The organisation is responsible for making this information available to the employees and it is the responsibility of the employees to carry out their duties in the workplace with a good consideration for safety. Every employee that works for an organisation that has taken the issues of safety seriously by putting up safety posters in the workplace will have a high level of safety consciousness which will be practised both at work and in their homes. Employees who are feeling safe at their workplace are also happier and more loyal than those that don’t have this feeling of security. Satisfied and careful employees are, therefore, more productive and take less sick days. All this means a more productive business and increased sales. It is easy to determine a company’s attitude towards safety by observing their dedication and commitment to spreading the word about it. 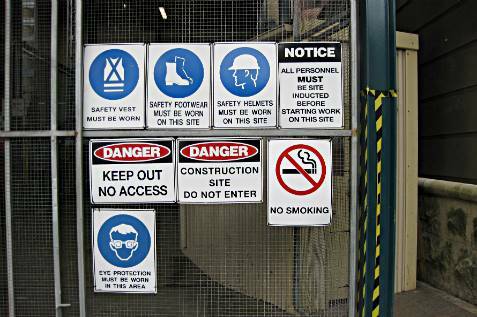 The use of safety posters has been proven to be effective in achieving this form of communication in the workplace. Carefully designed and positioned posters show effort and dedication to keeping the employees safe. They should be among the first things seen when coming in or out of the company’s facilities. The right use of safety posters will go a long way in convincing the employees that the management puts them and their safety first. Safety posters have been designed to carry messages that are easy to understand. Common features of safety posters include vivid illustrations and direct messages, conveyed in a bold and direct manner using simple English. 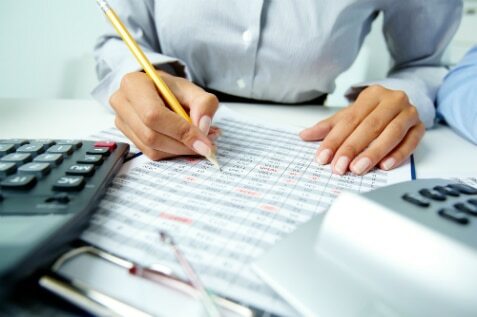 All other relevant information that are beneficial to the employees who frequent the workplace. Safety posters always keep the workers alert while they are carrying out their duties. Everyone is aware of the worst accidents that can happen and they know how to prevent them from happening. Employees who work in an environment where there are good safety posters will be encouraged to practice safety precautions in the workplace not only for their own safety but also for their co-workers’ safety. This will promote unity among the employees who will look out for the safety of every team member while they work. There will be fewer reasons to spend a huge amount of money in settling bills when the workers do not suffer from injuries in the workplace. The investment in safety posters will translate to better savings for the company as there will be a reduction in the likelihood of accidents happening. It is actually smarter to prevent the occurrence of an accident than to deal with its consequences. It is better to invest in safety posters at a cost that cannot be compared to the price of dealing with the adverse effects of an accident. Safety posters save the time that would have been spent organising daily meetings to intimate the employees about these safety procedures and practices. They are always there, openly displaying the safety messages. When it comes to workplace safety, Alsco is a trusted name in helping businesses achieve health and safety for everyone. Aside from our cost-efficient, environmentally friendly workplace solutions, we also offer First Aid training for employees – and free downloadable workplace safety posters about proper first aid for workplace injuries as well as safety reminder signages. Call us today and we’ll help you find the best workplace safety solution for your business.